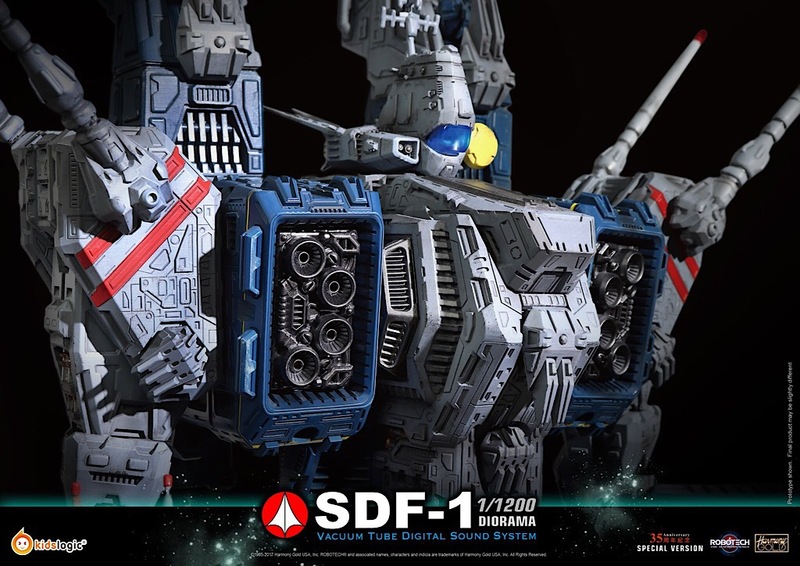 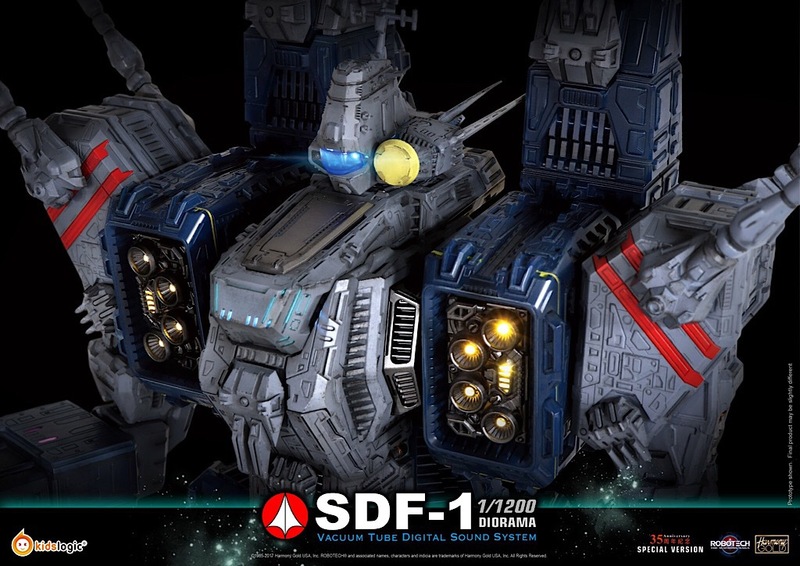 Kids Logic proudly presents the largest Robotech SDF-1 product ever released to the market - 1:1200 Diorama Vacuum Tube Digital Sound System. 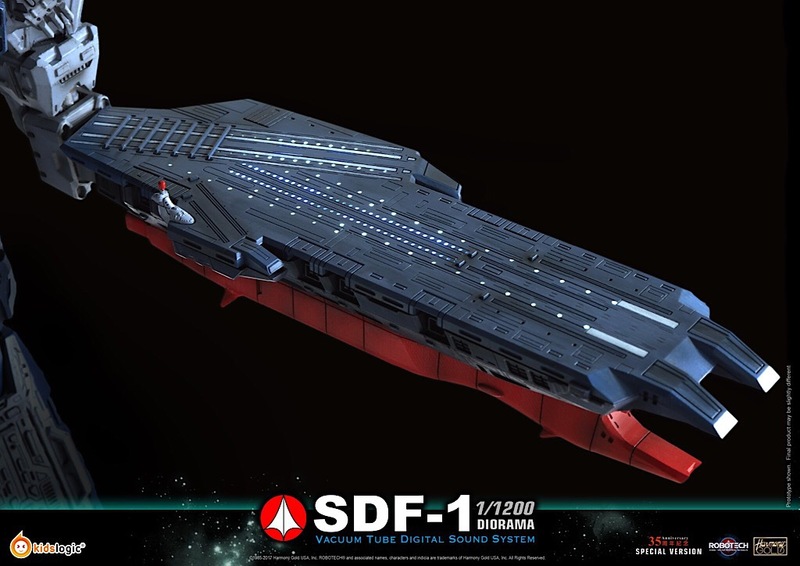 According to the 82 animation TV program, SDF-1 is set for launch in February 2009. 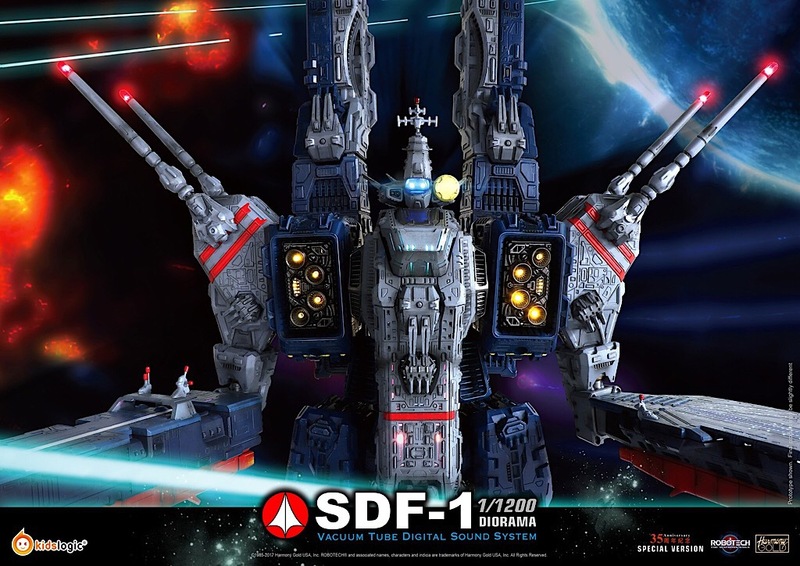 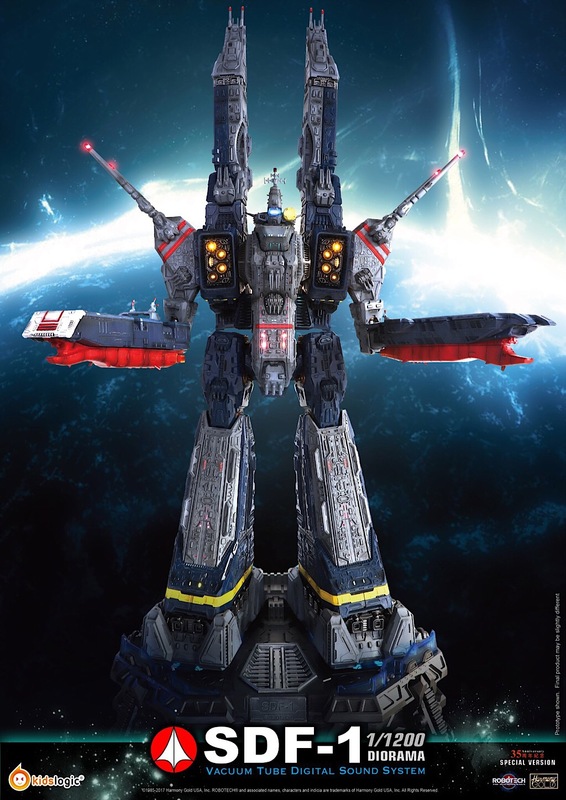 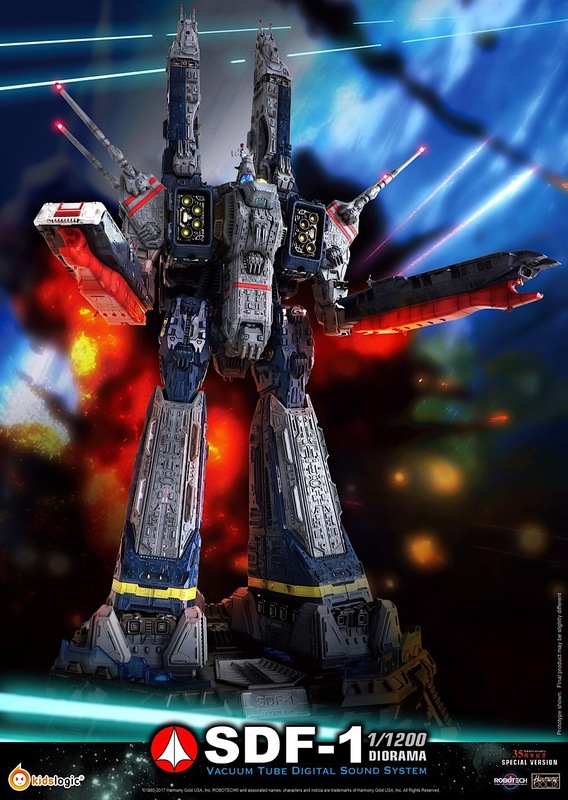 During the launching ceremony, the opposing faction of the ancient star war was approaching the earth and the newly christened SDF-1 Macross automatically activated the main cannon of the SDF-1 Macross, it fires from the surface of the Earth and destroys two alien ships, the story of Macross then begins. 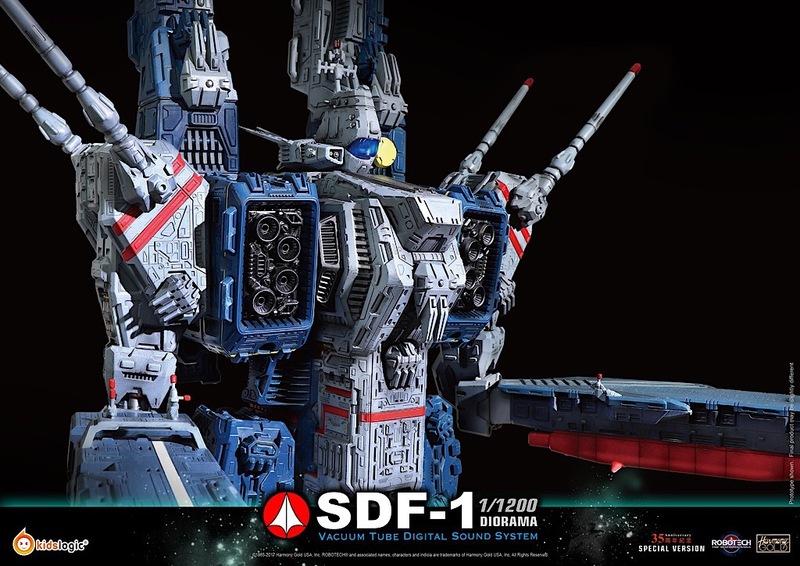 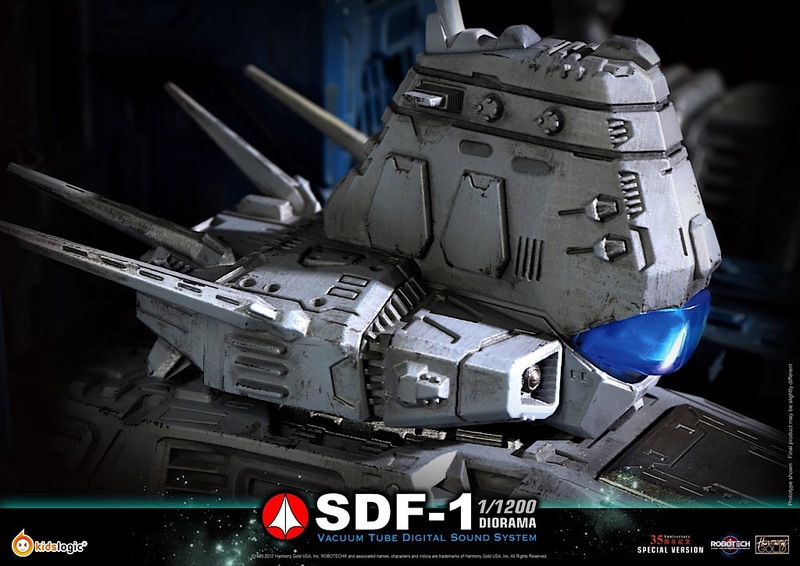 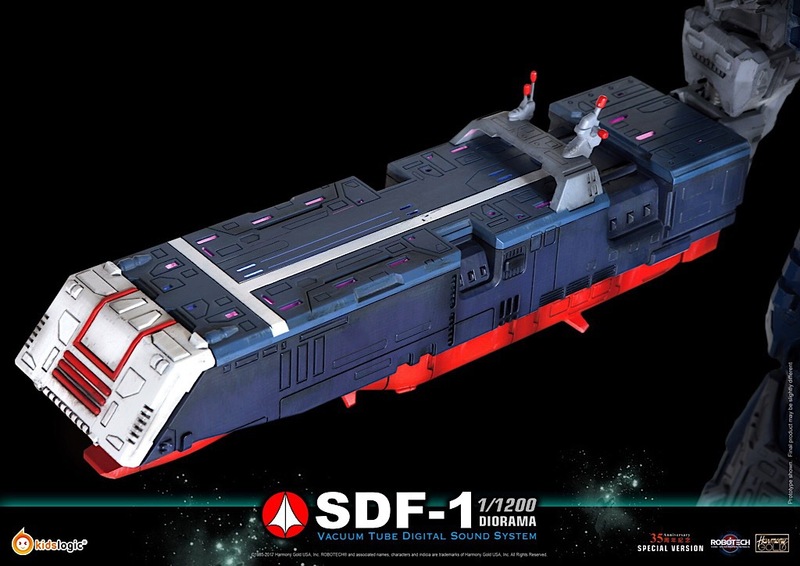 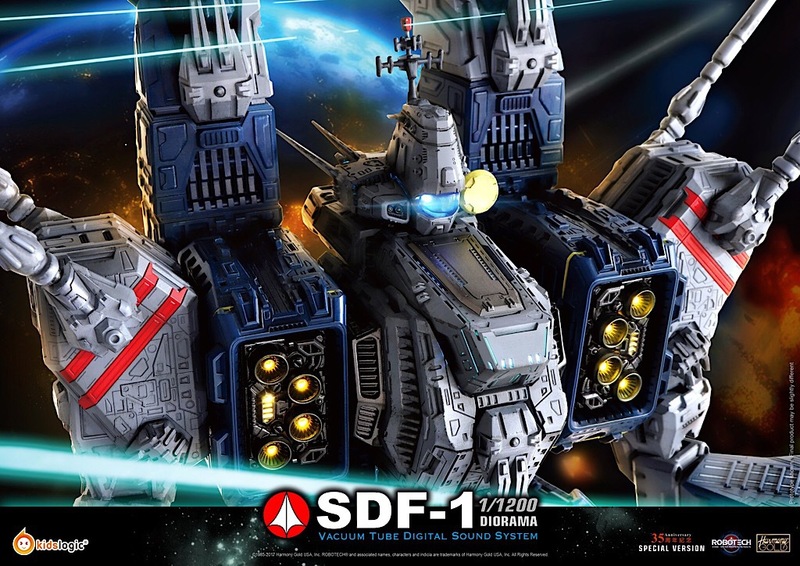 SDF-1 is the center of the story, all of the loves, the battles and the revenges are started from the ship, as one of the entheastic fans of Robotech, building the ship is our greatest mission, it is just the matter of how it would be build! 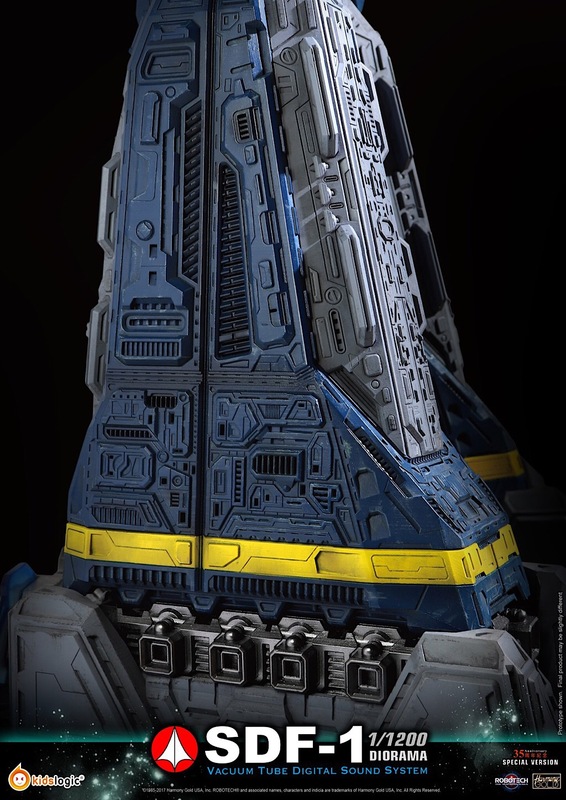 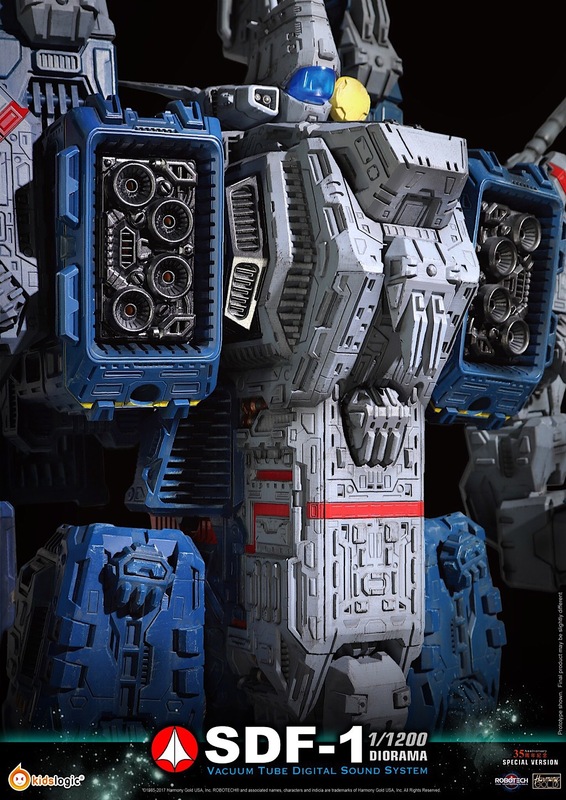 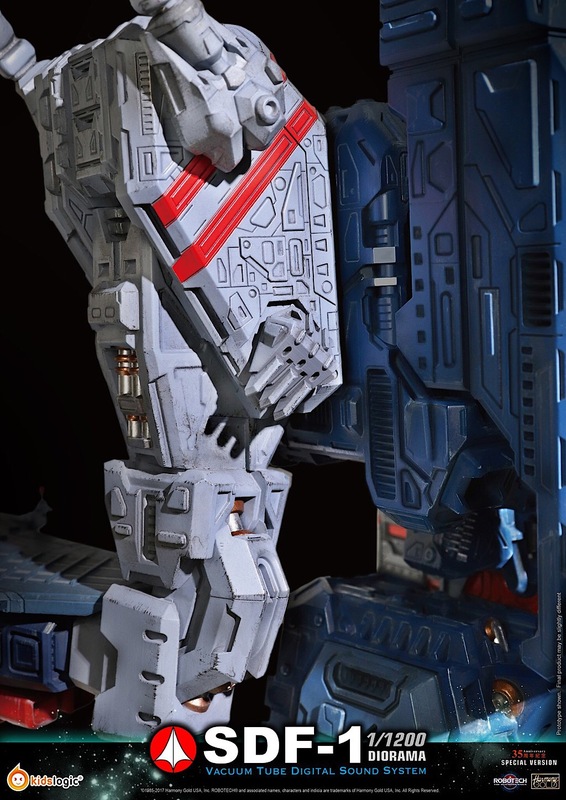 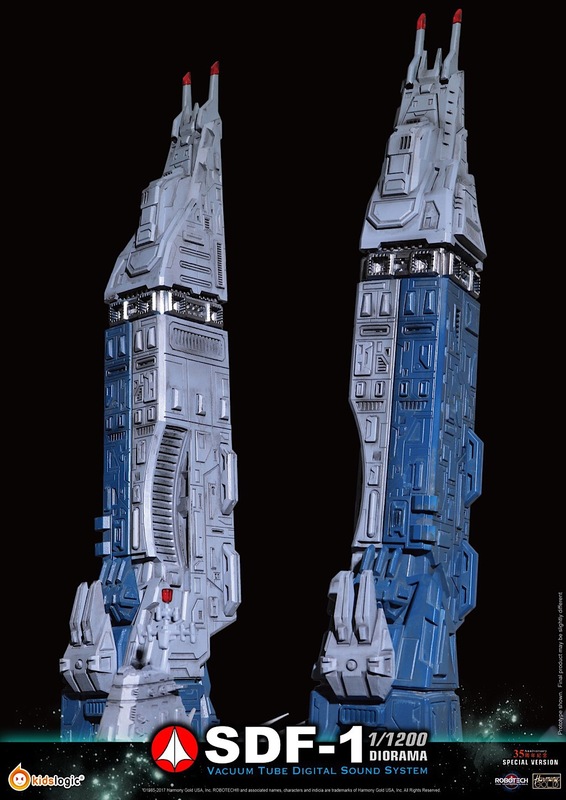 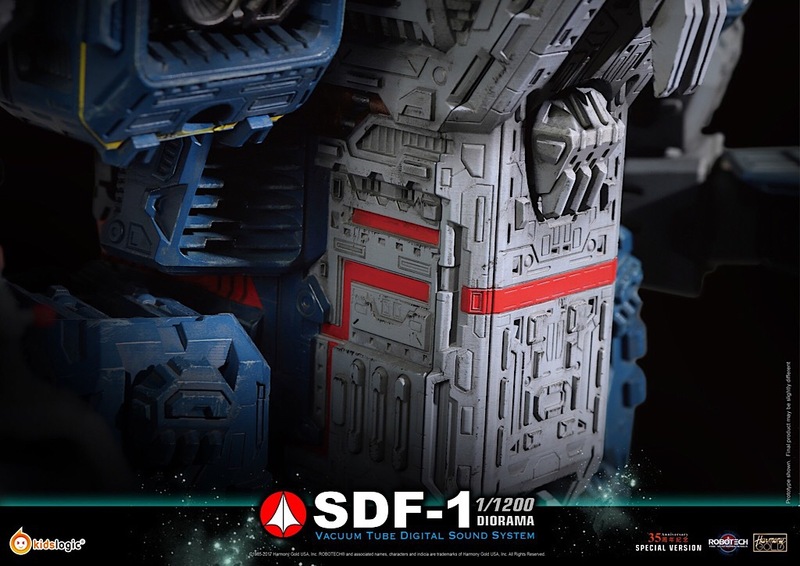 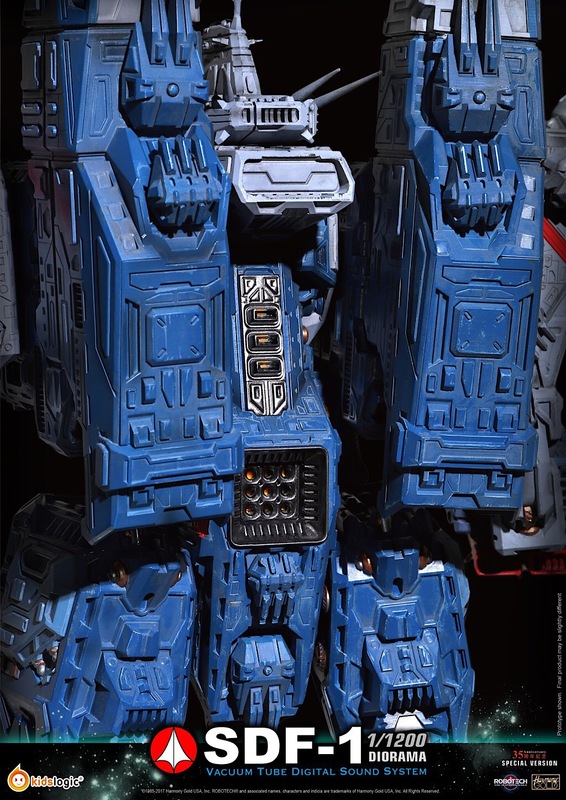 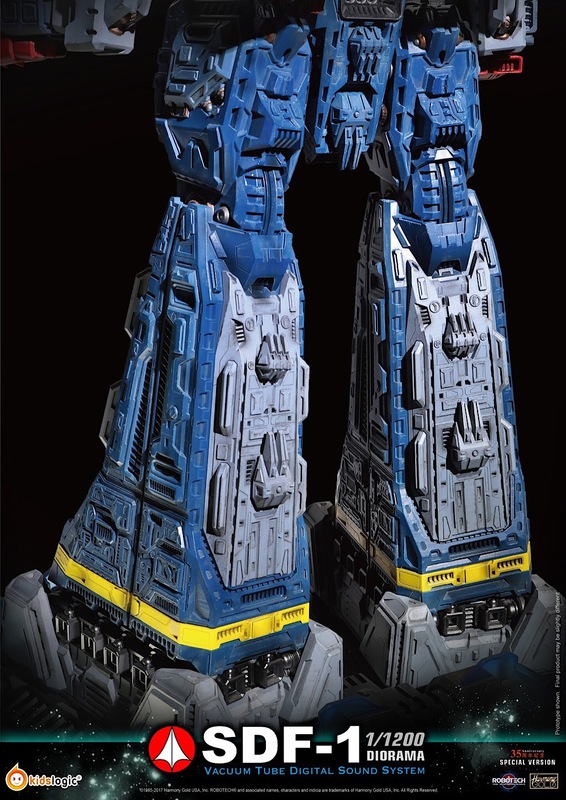 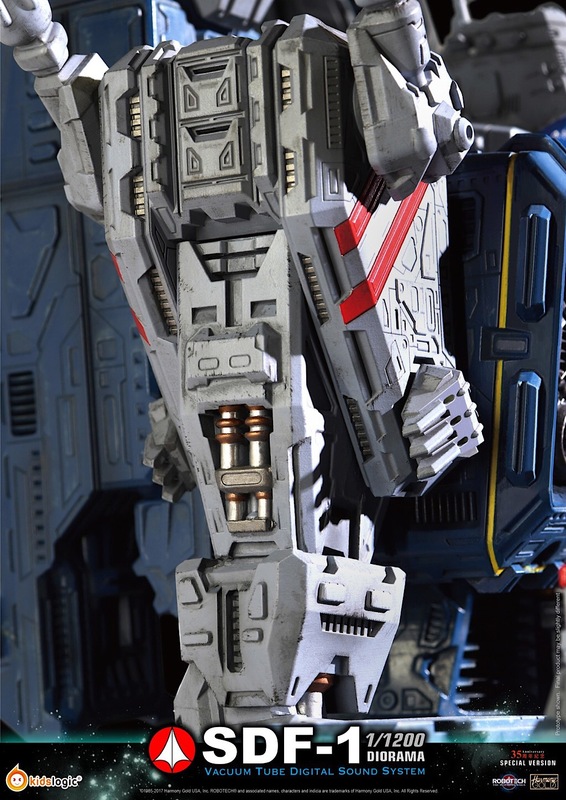 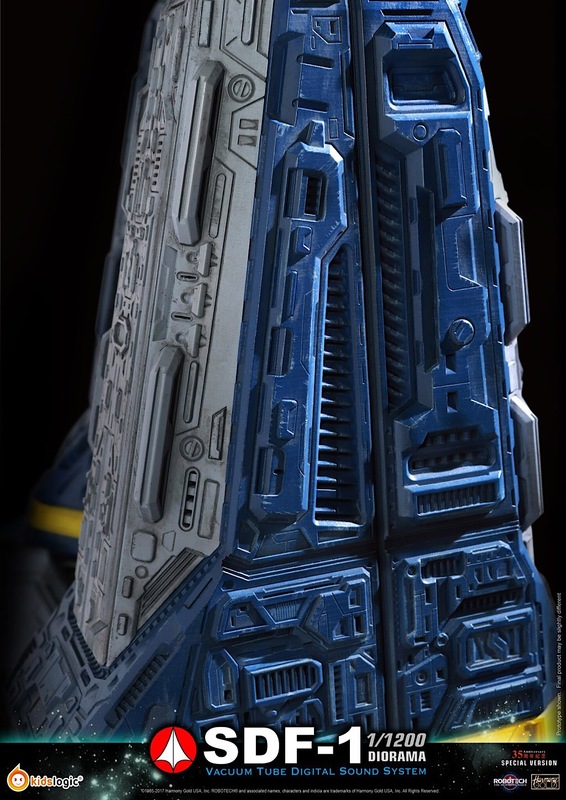 The market is already full of SDF-1 products, most of them are transformable, some of them are relatively large in size, however they are neither detail nor big enough to recreate the impact of the original gigantic aircraft, so we begin to sculpt the entire ship in early 2016 with patient and tons of references, the initial thinking was a transformable SDF-1 in large size, but after a couple of experiments, the prototype units are hard to play due to its size, also the reciprocal proportion and the outlook would have to be sacrificed a lot for the possibility of transformation, then finally the function has been castrated. 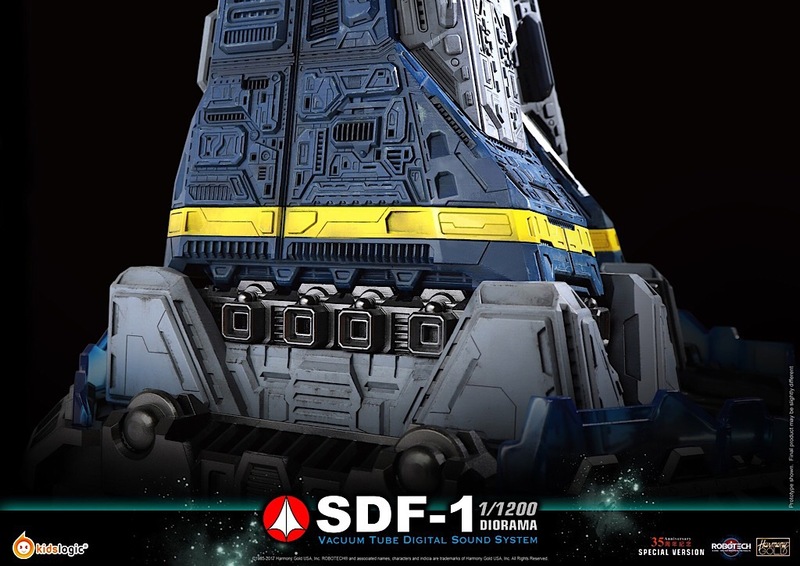 In return, we would like purchasers to enjoy the diorama so we've decided to combine the function of a high-fidelity audio playback system with the SDF-1, the system includes 2 stereo speakers, a down-firing subwoofer with vacuum tube amplification, HD audio (24/192 Khz) receiving and decoding functions through Bluetooth transmission. 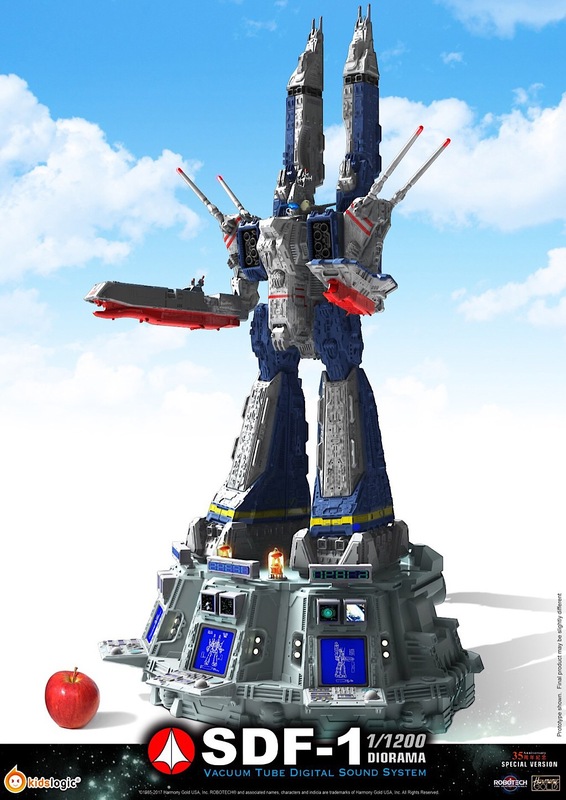 Since the manufacturing procedures are exertive and time consuming, we've decided just to manufacture 800pcs worldwide only. 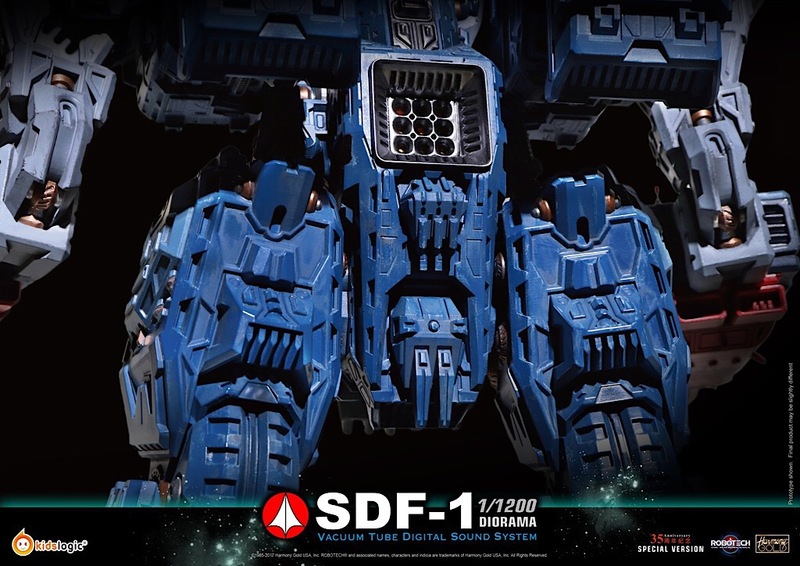 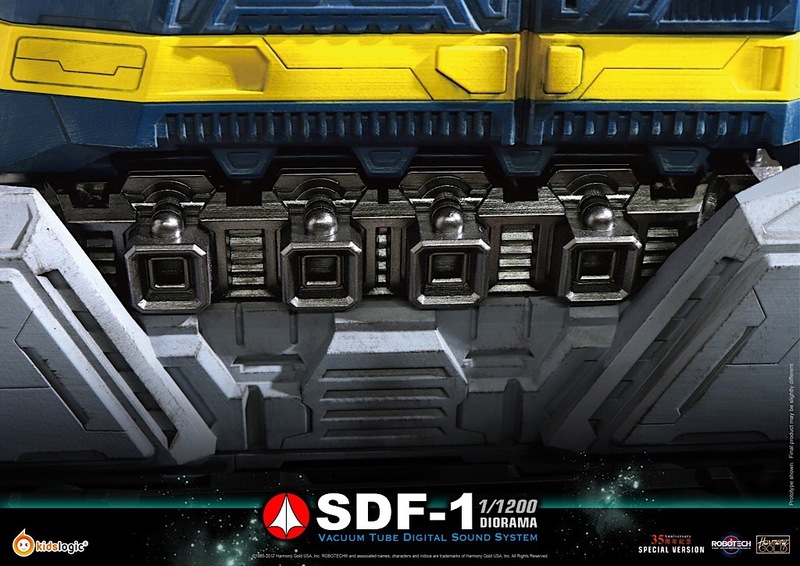 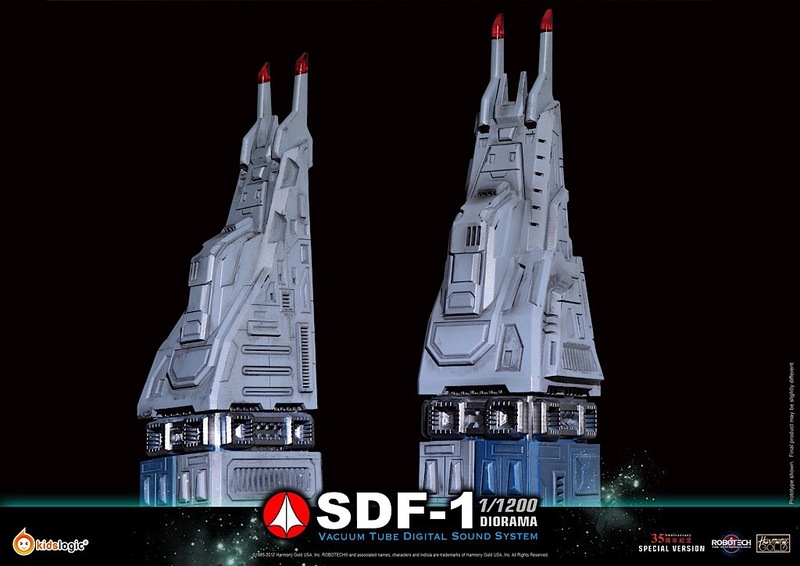 The 1:1200 SDF-1 Diorama Vacuum Tube Digital Sound System will come with a certificate with a manufacture ID, 2 x high quality vacuum tubes and an external transformer.